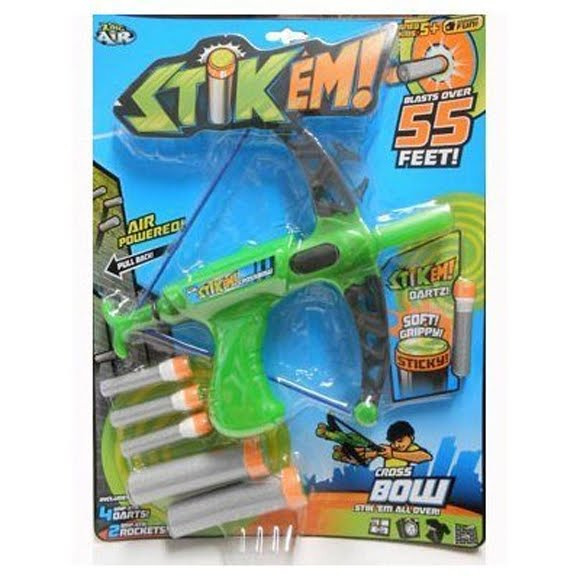 Have a blast with the Air Stik'Em Crossbow from Zing Toys. This toy crossbow is easy to load and is all air powered. Have a blast with the Air Stik&apos;Em Crossbow from Zing Toys . This toy crossbow is easy to load and is all air powered.